CREAM CHEESE STUFFED JALAPENOS LIGHTLY BREADED & DEEP FRIED. SERVED WITH A SIDE OF RANCH OR BLEU CHEESE DRESSING. SMOKED GOUDA AND CHEDDAR MAC & CHEESE WITH BACON, AND MACARONI PASTA FRIED CRISPY AND SERVED WITH A SIDE OF MARINARA. (2) MINI BURGERS TOPPED WITH AMERICAN CHEESE, BACON, SHREDDED LETTUCE AND JILLIAN’S OWN SLAMMIN’ SAUCE . 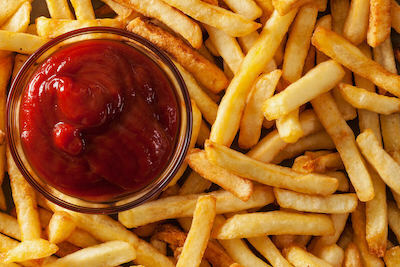 SERVED WITH FRENCH FRIES. OUR HOUSE MADE CACOILA WITH AVOCADO, PICKLED RED ONION & SHREDDED MOZZARELLA CHEESE ON A SOFT TACO. TOSSED WITH BANANA PEPPERS & CHERRY PEPPERS IN A GARLIC WHITE WINE SAUCE. SERVED WITH TORTILLA CHIPS, CELERY AND CARROT STICKS. 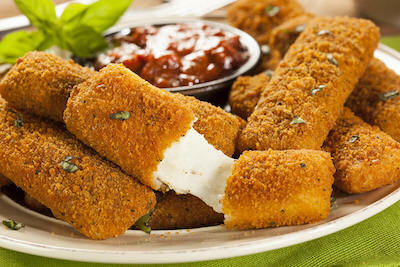 MOZZARELLA STICKS, POTATO SKINS AND CHICKEN TENDERS WITH CHOICE OF (2) SAUCES. 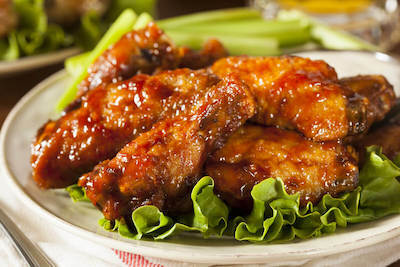 SERVED WITH MARINARA, SOUR CREAM AND RANCH OR BLUE CHEESE DRESSING. 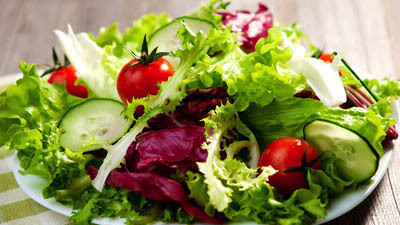 MIXED LETTUCE WITH CUCUMBERS, CHERRY TOMATOES, BLACK OLIVES, RED ONION AND BANANA PEPPERS. CHOPPED ROMAINE TOSSED IN A CREAMY CAESAR DRESSING WITH CROUTONS AND PARMESAN CHEESE. MIXED LETTUCE TOPPED WITH A HARD BOILED EGG, BACON, SLICED RED ONIONS, AVOCADO, TOMATOES AND BLEU CHEESE CRUMBLES. LARGE HOUSE SALAD TOPPED WITH BLEU CHEESE CRUMBLES, BACON AND BONELESS BUFFALO TENDERS. SPRING MIX WITH DRY SLAW, MANDARIN ORANGES, RED PEPPERS, RED ONION, AND GRILLED CHICKEN TOSSED IN ASIAN SAUCE TOPPED WITH CHOW MEIN NOODLES. SERVED WITH ORIENTAL HONEY GINGER DRESSING. CHICKEN TOSSED WITH BBQ SAUCE; TOPPED WITH MOZZARELLA CHEESE AND BACON. TOMATO SAUCE TOPPED WITH MOZZARELLA, CARAMELIZED ONIONS, BLACK OLIVES, TOMATOES, BROCCOLI, MUSHROOMS AND BELL PEPPERS. CHICKEN TOSSED IN BUFFALO SAUCE TOPPED WITH RED ONIONS AND MOZZARELLA CHEESE. SERVED WITH BLEU CHEESE DRESSING. CHICKEN TOSSED IN MOZAMBIQUE SAUCE TOPPED WITH MOZZARELLA CHEESE AND BANANA PEPPERS. BONELESS CHICKEN TENDERS TOSSED IN BUFFALO SAUCE TOPPED WITH CHEDDAR CHEESE. PEPPERS, ONIONS, TOMATOES,MUSHROOMS AND EGGPLANT TOPPED WITH PROVOLONE CHEESE. 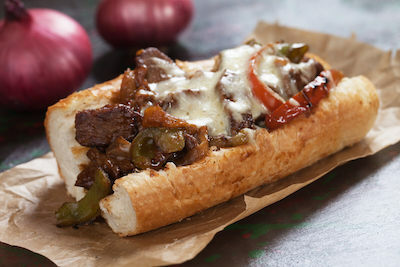 SHAVED STEAK SAUTEED WITH ONIONS, MUSHROOMS AND PEPPERS TOPPED WITH PROVOLONE CHEESE. SLICED CHOURICO SAUTEED WITH BANANA PEPPERS AND CARAMELIZED ONIONS IN MOZAMBIQUE SAUCE; TOPPED WITH FRIED EGGS AND PROVOLONE CHEESE. GRILLED CHICKEN, BACON, CHEDDAR CHEESE, SLICED AVOCADO, SLICED TOMATOES AND SPICY RANCH. LEAN PASTRAMI SERVED ON GRILLED RYE BREAD WITH SWISS CHEESE, SAUERKRAUT AND THOUSAND ISLAND DRESSING. PORK MEAT BRAISED IN WHITE WINE AND PORTUGUESE HERBS. SERVED ON A PORTUGUESE HARD ROLL. SLOW ROASTED PORK SMOTHERED IN BBQ SAUCE AND TOPPED WITH COLESLAW. DOUBLE DECKER CLUB WITH SMOKED TURKEY BREAST, LETTUCE, TOMATO, BACON AND CRANBERRY MAYONAISE. SERVED ON YOUR CHOICE OF WHITE, WHEAT OR LIGHT RYE. TOPPED WITH AMERICAN AND SWISS CHEESE. 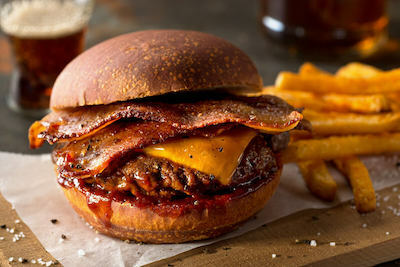 BBQ SAUCE, CHEDDAR CHEESE AND BACON. TOPPED WITH A SAVORY BACON REDUCTION, GOUDA CHEESE AND PICKLED RED ONION. TOPPED WITH AN OVER EASY EGG, ROASTED RED PEPPER AND OUR HOUSE PORTUGUESE GRAVY ON A PORTUGUESE ROLL. BACON, LETTUCE, TOMATO AND MAYO ON YOUR CHOICE OF WHITE, WHEAT OR LIGHT RYE BREAD. SLOW ROASTED TURKEY BREAST SERVED ATOP OUR HOMEMADE SAUSAGE AND SAGE STUFFING. CHOICE OF TWO SIDE AND GRAVY. CHEF’S HOMEMADE MEATLOAF WRAPPED IN BACON. (2) SKEWERS OF MARINATED CHICKEN, BELL PEPPERS, ONIONS AND CHERRY TOMATOES GRILLED AND TOPPED WITH BBQ SAUCE. SERVED WITH CHOICE OF (2) SIDES. CHICKEN, BROCCOLI AND CAVATAPPI PASTA TOSSED IN A BUFFALO CHEESE SAUCE BAKED WITH BUTTERY RITZ CRUMB. LIGHTLY SEARED CHICKEN TOSSED IN OUR MOZAMBIQUE SAUCE SERVED WITH FRENCH FRIES AND RICE. 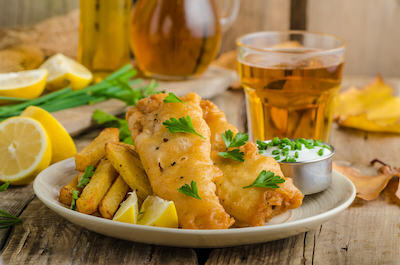 SCROD LIGHTLY BREADED AND FRIED UNTIL CRISPY SERVED WITH FRENCH FRIES, COLE SLAW AND TARTER SAUCE. SCROD BAKED WITH BUTTERY RITZ CRACKER CRUMB AND A SPLASH OF WHITE WINE. SERVED WITH CHOICE OF (2) SIDES. LIGHTLY SEARED SHRIMP TOSSED IN OUR MOZAMBIQUE SAUCE SERVED WITH FRENCH FRIED AND RICE. A 10oz NEW YORK SIRLOIN GRILLED TO PERFECTION AND TOPPED WITH A SAVORY BACON REDUCTION. PLAIN SIRLOIN ALSO AVAILABLE. SERVED WITH YOUR CHOICE OF (2) SIDES. A 10oz NEW YORK SIRLOIN COVERED IN OUR HOMEMADE PORTUGUESE GRAVY AND ROASTED RED PEPPERS TOPPED WITH A FRIED EGG. SERVED WITH RICE PILAF AND FRENCH FRIES. MARINATED TENDERLOIN TIPS COVERED IN ONIONS, PEPPERS AND MUSHROOMS AND MIXED PEPPERS. SERVED WITH CHOICE OF (2) SIDES.